Are you suffering from workplace stress? Well, you’re not alone – 3/5 UK employees suffer from stress, and more than half (54%) have trouble sleeping because of it. But have you ever stopped to consider how stressful your job is compared to the rest of the UK? With the average Brit spending 3,507 days at work over their lifetime, Workwear Giant have uncovered just how the UK’s occupations compare in terms of stress. The impact workplace related stress is having on the UK is so enormous that last year, 15.4 million workdays were lost due to it. Accounting for 57% of the total sick days in Britain, this effects all industries – but particularly, those who work within the teaching sector. For every 100,000 teachers, 3,020 have reported a serious case of stress. If you compare this to the national average (of every job occupation), which stands at 1,320 per 100,000 people – it’s almost triple. Not only is this damaging to the employee suffering from stress but also for the employers too. Employee turn-over is currently at an all-time high, with 46% of Brits reporting that they’ve searched for a new job because of stress. Workwear Giant have also created a Job Quality Index which has revealed surprising data – careers that are considered aspirational, such as teaching or welfare, are in fact amongst the lowest overall job quality. 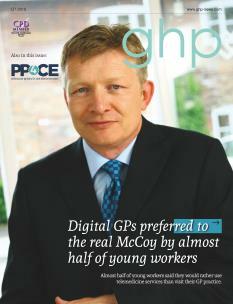 But how was the Job Quality Index calculated – you ask? 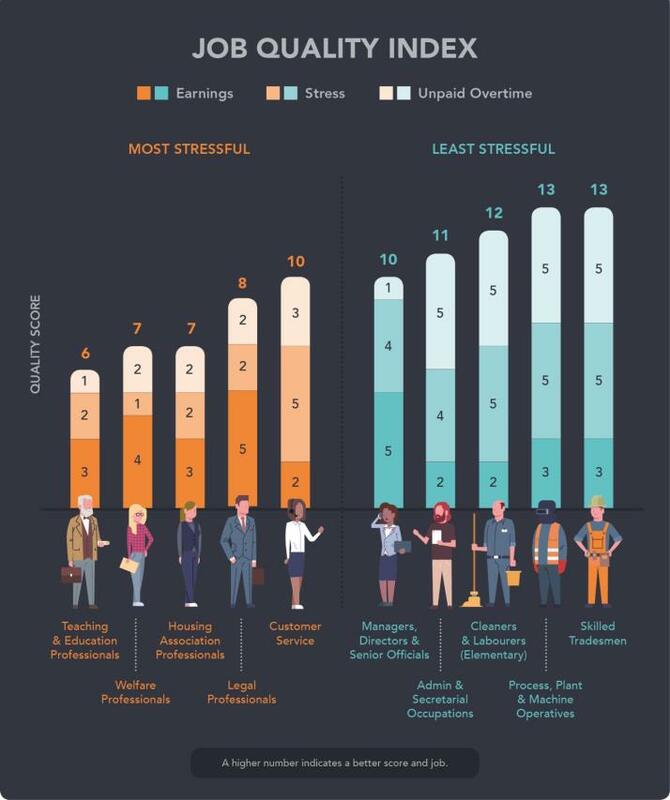 After investigating each occupation’s average earnings, stress levels and unpaid overtime – each of the three dimensions was scored out of 5 against the UK’s national average. For example, being scored 5 indicates a better score and higher job quality. So, how does your job compare? Read on to discover. · Worrying - i.e. constantly asking questions or being concerned about upcoming deadlines. If you are an employer or manager and believe a team member is suffering from stress, it’s vital to talk to the employee and find out the cause of their stress. Once you have identified the problem you can then find a solution that can be agreed on. Most issues can always be solved and there is always help if you need it, such as a GP or talking to a charity like Mind. As well as this you should encourage your team to talk to a manager if they believe they’re suffering from stress or becoming mentally unwell.